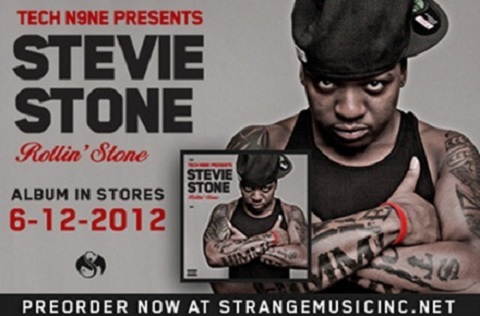 Fans aren’t the only ones eager to get a hold of Stevie Stone’s Strange Music debut, Tech N9ne Presents Stevie Stone – Rollin’ Stone. In a recent interview with Necessary Exposure, Tech N9ne shared his excitement and expectations as he gave a huge endorsement for the new release. 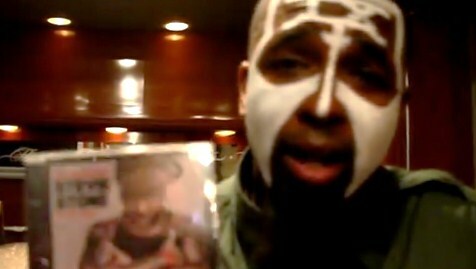 Speaking from the Minneapolis stop on the Hostile Takeover 2012 Tour, Tech N9ne sat down for a brand new video interview. The Kansas City King discussed the success and growth of the massive tour. Tech also went on to talk about Strange Music releases in 2012, including Stevie Stone’s Rollin’ Stone and the next Tech N9ne solo album. With Rollin’ Stone on deck, even Tech can’t hide his anticipation for the album that has already created a buzz with the smasher, “808 Bendin”. Are you as excited as Tech is for Rollin’ Stone? Have you pre-ordered the album yet?